Okay so I have not been taking care of my hair like I am suppose. I have been slacking a lot lately and your hair should be everything. So upon to me trying to step back up and taking care of my hair again I have been trying to look for a good shampoo and conditioner. I for one have been using cheap hair shampoo and conditioner which is a big NO, NO! 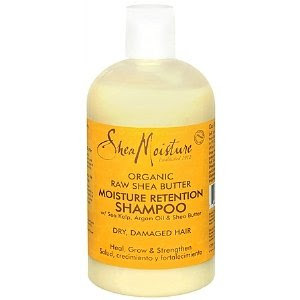 Cheap shampoo and condition just results in dry and brittle hair; which overall is unhealthy. You want your hair feeling smooth, silky, and healthy. So while I was at my sister's house over the weekend I stumbled across Shea Moisture Organic Raw Shea Butter Moisture Retention Shampoo. The good thing about this product is that they have a whole PRODUCT LINE. Yes, I said it. The product is a little bit on the pricey side but it is very much worth the price. Nowadays you have to pay for what you want and who does not want healthy hair. 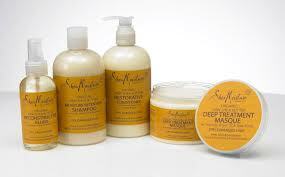 The product will help maintain your hair with almost every style. I keep a sew-in or some type of weave in my hair and this I think is good for all hair types. My hair is beyond damage and it needs some type of recovery. This product you can find at Target or you can order off of Amazon.com; also provided at Walgreens.